Earlier, when the word Galaxy was used, it used to remind us the galaxy in the solar system which consists of numerous stars. Now, the word galaxy has gained a new meaning. Thanks to the Samsung company, for their 'Galaxy' series launched at decent price. Their 'S' series under Galaxy brand have been a big deal of competition to the other smart phone companies. Samsung company launched their Samsung Galaxy S7, in the month of March 2016, and in the same month, launched the other version, Samsung Galaxy S7 Edge. This smart phone was announced to the world in the month of February, and it was available on the market from the month of March. Samsung Galaxy S7 Edge enticed the customers with its features which are entirely mesmerizing. Samsung, the brand name itself names interesting stuff, and this Galaxy S7 Edge is sure to keep all its competitors at the edge with the same price range. Samsung Galaxy S7 Edge, has dimensions of 150.9*72.6*7.7 mm, which will be 5.94*2.86*0.30 in inches. The weight of this smartphone is 157 gram, which is 5.54 oz. This smart phone is stylish, with an amazing design and a wonderful look that gives real worth to your money. The users are well pleased with the structure which is sure enough to add up to the reputation of the one who holds it. Its back panel is build of Corning Gorilla Glass 4. The SIM card type which could be accessed is Nano type, and the smart phone comes in two models, one supporting a single SIM access and the other supporting double SIM access. 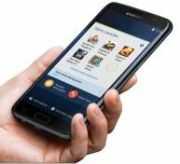 This Samsung Galaxy S7 Edge can enable the users to access Samsung Pay, which is certified by Visa and Master cards. The colour availability of this phone includes Black, White, Gold, Silver and Pinkish Gold. The display of Samsung Galaxy S7 Edge is Super AMOLED touch screen with 16M colours. With the screen size of 5.5 inches, which is approximately equivalent to 76.1% screen to body ratio. Galaxy S7 Edge smart phone gives a yes to multi-touch, which enables ease access to pinch zooming facility. The screen resolution of this amazing smart phone is 1440*2560 pixels, which makes the pixel density to be 534 pixels per inch. The display is also protected by Corning Gorilla Glass, TouchWiz UI, and curved edge screen. The display quality is so well developed here in the phone is that it lets you have an amazing experience with the display, touch access quality and everything at this reasonable price range. The contrast ratio of the display in this amazing smart phone is infinite at the nominal light shade and 4.439 at sunlight. The well-equipped performance of a smart phone depends basically on the Operating System of a smart phone. The Samsung Galaxy S7 Edge has a wonderful performance packed in itself with the Android Operation System having the version of 6.0 Marshmallow. The chipset of this smart phone is Qualcomm MSM8990 Snapdragon 820 Exynos8890 Octa. The Central Processing Unit of the Galaxy S7 Edge is Dual core 2.15 GHz kryo and dual core 1.6 GHz kryo; Quad core 2.3 GHz Mongoose and quad core 1.6 GHz Cortex-A53. The GPU is Adreno 530 with Mali-T880MP12. The greater the storage capacity in a smart phone, the greater it is adored by the users. The internal storage capacity which is provided with this S7 Edge varies with the customers’ choice, either 32 Giga Bytes or 64 Giga Bytes. But, this smart mobile does not limit the customers with the internal storage capacity as they have the option to expand memory using microSD card up to 200 GB. This option is a huge number at this price, which amuses the customers. The card slot is dedicated to the single SIM model, and microSD card should use the SIM 2 in the dual SIM model. The Random Access Memory capacity of this mobile, which is graciously provided is of 4 Giga Bytes. It ensures that the users enjoy smooth access with any application of Samsung Galaxy S7 Edge. Samsung Galaxy S7 Edge is well known for its camera features which give a wonderful performance that amazes the customers. The rear camera in this mobile is of 12 Mega Pixels whereas the front camera is of 5 Mega Pixels. The rear camera in Samsung Galaxy S7 Edge comes with features like, phase detection, auto focus, OIS and LED flash. This front camera captures video at the rate of 2160p@30fps, 1080p@60fps, and 720p@40fps with HDR and dual video recording. The secondary camera can facilitate dual video calling with auto HDR for the users. The other general camera features are geo-tagging, simultaneous 4K video and 9 MP video recording, touch focus, face and smile detection and panorama. Alert types available in S7 Edge are supported with MP3 or WAV typed ring tones as well as Vibration. The phone is assisted with 3.5 mm loudspeakers that are good enough to produce true sound quality. The loudspeakers work at 66dB at the voice, at 62dB at the noise and 66dB at the ring. The audio quality in this Samsung Galaxy S7 Edge is -92.5dB at the noise and -92.2dB at crosstalk. Samsung Galaxy S7 Edge has a Li-lon battery with the battery capacity of 3600 mAh and is non-removable. The battery works up to 27 hours in talk time mode under 3G connectivity and up to 74hours under music play mode. The endurance rating of the battery in Samsung Galaxy S7 Edge is 98 hours. The connectivity features of this smart phone, include Wi-Fi with supporting the standard of 802.11a/b/g/n/c, with dual-band, Wi-Fi Direct, and hotspot. It accepts Bluetooth at v4.2, A2DP, LE, and apt-X. GPS accepted with A-GPS, GLONASS, and BDS. This mobile has no access to radio, but can connect NFC. The USB connectivity is of microUSB version 2.0 with USB Host. The sensor that comes is fingerprint, accelerometer, gyroscope, proximity sensors, compass, barometer, heart rate and Sp02. Messages are accepted through SMS under threading view, and also as MMS, Email, Push Mail, and IM. The browser is of HTML5 and does not accept JAVA applications. The additional features which are available in this phone includes fast battery charging that charges up to 60% in 30 minutes, which is powered by Quick charge 2.0, wireless charging, ANT+ support, S-voice natural commands and dictation, One drive which provides 115 Giga Bytes storage capacity of cloud storage, Active noise cancellation with dedicated mic, MP4/DivX/XviD/WMV/H.264 player, MP3/WAV/WMA/eAAC+/FLAC player, photo/video viewer and Document viewer. What are the dimensions of Samsung Galaxy S7 Edge? Samsung Galaxy S7 Edge measures 150.9 x 72.6 x 7.7 mm (5.94 x 2.86 x 0.30 in). What is the weight of Samsung Galaxy S7 Edge? Samsung Galaxy S7 Edge weighs 157 g (5.54 oz). How is the display quality of Samsung Galaxy S7 Edge? Samsung Galaxy S7 Edge features 5.5 inches super AMOLED capacitive touchscreen with 16M colors. Is there a fingerprint reader available in Samsung Galaxy S7 Edge? Yes, Samsung Galaxy S7 Edge comes with fingerprint sensor. Is there a 3.5 mm Stereo jack is available? Yes, 3.5 mm audio jack is available in Samsung Galaxy S7 Edge. Is Samsung Galaxy S7 Edge waterproof? Samsung Galaxy S7 Edge is water resistant over 1.5 meter and 30 minutes. What colour options are available for Samsung Galaxy S7 Edge? The Samsung Galaxy S7 Edge is available in Black, White, Gold, Silver, Pink Gold colours. Samsung Galaxy S7 Edge is a single SIM phone or a dual SIM phone? Samsung Galaxy S7 Edge has a single SIM (Nano-SIM) as well as dual SIM (Nano-SIM, dual stand-by). Which processor is used in Samsung Galaxy S7 Edge? Quad-core (2x2.15 GHz Kryo & 2x1.6 GHz Kryo) and Octa-core (4x2.3 GHz Mongoose & 4x1.6 GHz Cortex-A53) processors have been used in Samsung Galaxy S7 Edge. How much RAM does it offer? Samsung Galaxy S7 Edge offers 4 GB RAM. Which operating system runs on the Samsung Galaxy S7 Edge? Samsung Galaxy S7 Edge runs on Android OS, v6.0 (Marshmallow). How much internal storage does it offer? Samsung Galaxy S7 Edge offers 32/64 GB internal storage capacity. Does Samsung Galaxy S7 Edge support micro SD card for memory expansion? Yes, you can expand storage via microSD, up to 256 GB (dedicated slot) - single-SIM model microSD, up to 256 GB (uses SIM 2 slot) - dual-SIM model. What are the camera specifications of Samsung Galaxy S7 Edge?